Zoysia Sod available for Pickup, Delivery or Installation. Zoysia’s medium-size blade grows slowly. Naturally resistant to chinch bugs. Handles cold weather in North Central Florida. Once established, its genetic makeup helps it survive drought conditions. May turn brown if it does not receive sufficient water, however will quickly turn green upon irrigation. Wait to mow the sod until it has begun rooting into your ground. Shallow roots take 2-3 weeks with the right preparation. Once rooted, best to keep the height between 1-2″. Mow every 10-14 days during peak growing season for a lush lawn. Water daily for 20-30 minutes to get root establishment. Water “as-needed” after Zoysia is established. 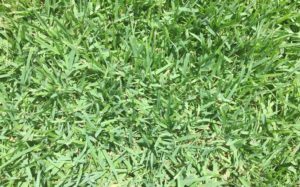 For more detailed tips, we recommend checking out this online lawn guide from The University of Florida IFAS extension. Delivery and Installation Options Available! Call for Pricing! It pays to buy direct! or Request an Installation Estimate. Receive special offers, product updates, savings events and more.